Acquire training & development competencies with ATDChi's state-of-the-art certificate program. Looking for formal instruction in the training or instructional design field? A trainer or designer thinking about best practices, the correct approach to needs analysis, or effective evaluation methods? New to the field and seeking knowledge about standard models and techniques used to develop worthwhile training? Looking to develop a network of peers in the field? If so, the Workplace Learning & Performance Institute is for you. To be effective, it is important for professionals in the field of learning and performance to know and apply methods and techniques in instructional design, facilitation, human performance improvement, blended learning, and evaluation. The curriculum contains key components of ATD’s workplace learning and performance model. The seven-module course runs over an eight-week period (Saturdays), and each week you will learn and receive useful tools, practical exercises and hands-on training from experts in each topic. In addition, you will be assigned a project coach with industry experience and expertise. Your project coach will provide you with guidance and feedback while you develop a final project. After completing all seven sessions and the final project, you will receive a certificate of completion and 30 credit hours of PHR or SPHR recertification. You can choose to attend all 7 modules or select one or more of modules would supplement your current knowledge base and experience. 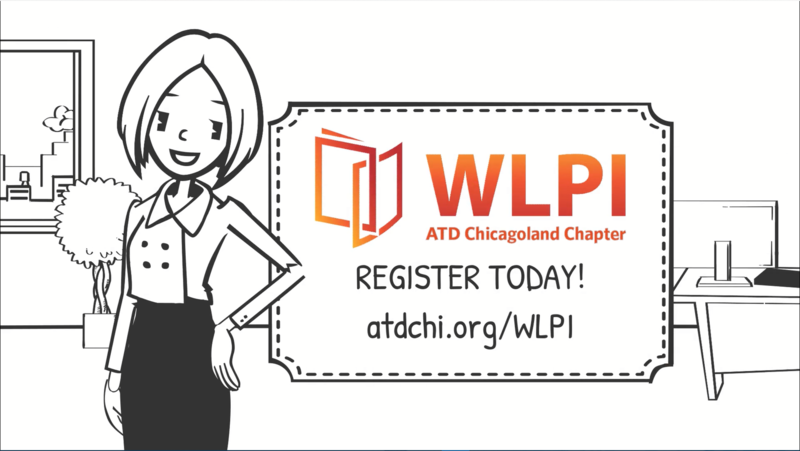 WLPI is offered as a membership service to ATDChi members and the remaining community at large. It is designed, developed and delivered by ATDChi members who have devoted valuable time and energy as volunteers. This institute is enhanced by instructors who have a diverse spectrum of background, styles and academics. The instructors consist of consultants and in-house practitioners with an established track record. In addition, each class has access to an advisor whose purpose is to provide coaching before, during and following the course. "As an accidental trainer, I had long felt that I was missing that ‘special something’ that would make my work in WLP seem valid. My formal education focused on Social Work and left me missing a solid foundation in the training world. Attending the 7 week WLPI was one of the best learning experiences I have ever had. Each week we had a facilitator that was an expert in that week's particular subject. The classes were engaging, professional, and flew by! I now feel that I've got a much more developed background that will only enhance my career moving forward." DePaul University School for New Learning accepts WLPI for credit toward a degree. Roosevelt University accepts completion of the WLPI in their Master's program for the Introduction to Training course. HRCI recognizes each module of the WLPI as continuing education credit for PHR/SPHR. Each module counts as 6 hours of non-strategic credit.